VANCOUVER -- A man considered everything from a heroic whistleblower to a traitor is making a cyber visit to British Columbia. Edward Snowden will make the keynote presentation, via web link, as part of a Simon Fraser University program examining the opportunities and dangers of online data gathering. The presentation, at Vancouver's Queen Elizabeth Theatre on April 5, will be followed by a moderated discussion with expert panellists from SFU and the B.C. Civil Liberties Association. 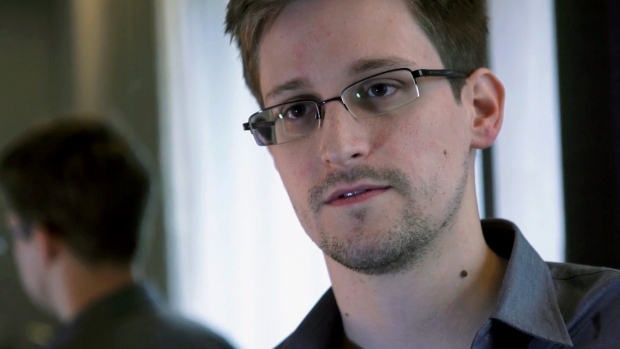 Snowden is a former employee of the National Security Agency in the United States. In 2013 he quit his job and left the U.S., before revealing how the NSA conducted secret information-gathering programs, spying on the online activities of hundreds of millions of people. Snowden, who remains exiled in Russia, has been charged with espionage in the U.S. and could face 30 years in prison, but his lawyer has said he wants to return to the United States, if he could be guaranteed a fair trial.